Just Add Clipart: Best First Day Ever! Today was the first day for teachers to come back. Our kids will start on Thursday. It was a fantastic day!!! The Superintendant spoke at our Teacher Institute this morning and it only lasted 30 minutes- score! More time to work in my room! We were told that the State would be giving us $143 to spend in our classrooms this year. That sure beats $0 they gave us the past two years! And, the BEST news (drum roll, please!)... During our faculty meeting we were told that one lucky person would recieve an iPad 2 from the PTO. They passed out envelopes with the winning number inside. Everyone opened the envelopes at the same time (it felt like Christmas!). We were ALL given a iPad 2!!!! Everyone was cheering and clapping. It was so much fun! I can't wait to actually get mine in the morning. Plus, Apple sells these neat little cords that attach the iPad to the document camera, so my kids can see the iPad on my Promethean Board. We all got one of those too! Our PTO is the best!!!!! Tomorrow we get our class list. Can . not . wait! Man! 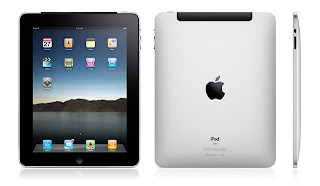 I want an Ipad2 bad! I keep going back and forth on it though! I know you'll love it! That is soooo cool! Have fun with your new toy! I hope my first day back is that wonderful! Wow! You're so lucky! I don't have a promethean board even. I just got a document camera and projector last May. I have an ipad 2 this year as well! We should share our favorite apps! So far, I LOVE GarageBand and Toy Story! Oh, and Pages! HAVE FUN! How wonderful! Have a great year. That's a whiz-bang way to start out the year on a fantastic note!!!! YAY!!! Lucky! I'm glad to hear that your state is throwing some money your way and investing in teachers. Holy Cow! You have the best PTO EVER! I just found your blog and I love it!! Thanks for the great Promethean calendar ideas. I have had a Promethean board for several years, but I am finally making the switch from traditional calendar to doing it on my Promethean board. Congrats on the iPad2!! That's awesome! Have a wonderful year! !